Roku may not have much love for Google’s Chromecast TV dongle, but that’s not stopping the company from adding Chromecast-like features to its set-top boxes. GigaOM reports that Roku set-top boxes will soon get DIAL support, eventually giving users a way to launch streaming videos on television from their phones or tablets. DIAL, which stands for “Discovery and Launch,” is the protocol that Chromecast uses to talk with other devices over the same wireless network. Roku CEO Anthony Wood announced the functionality at the Next TV Summit in San Francisco. Essentially, DIAL allows you to pick the video you want to watch with a phone or tablet, and then pass the streaming instructions over to the television. Other companies that have added DIAL support to their hardware include LG, Panasonic, Sony, TiVo, and Vizio. Still, it’s unclear how Chromecast-like features would work on Roku. 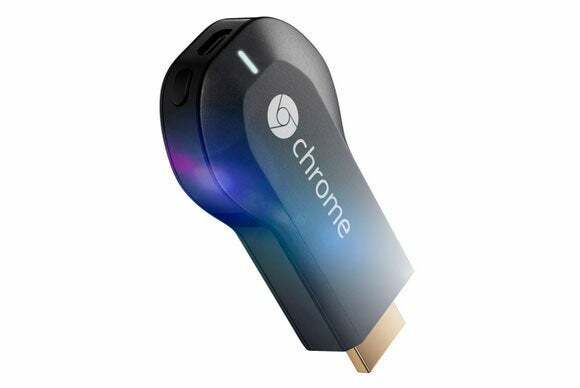 With Chromecast, streaming-video providers such as Netflix still need to do extra work, both to make the “Cast” button appear in their mobile apps, as well as to make the video play back properly on the television. Google is now offering a beta software development kit, with hopes that lots of apps will support Chromecast in the future. Roku may have to duplicate those efforts if it wants to have the same widespread app support. And right now, it doesn’t seem that Roku is all-in on the concept. While phones and tablets have the potential to replace the traditional remote, Wood doesn’t see it that way. “That’s the mode that some people will use … but most people will not use it all of the time,” he said, according to GigaOM. Wood also took a dig at Chromecast in particular, saying that it mainly got attention for its $35 price. He said Roku doesn’t expect these kinds of standalone devices to remain on the market for long, suggesting that they’ll eventually be built directly into televisions and set-top boxes. Roku, in fact, is now trying to convince electronics makers to put its connected-TV platform into their televisions. That’s exactly what Google now intends to do with Chromecast, after failing to get much traction with Google TV embedded in televisions. There’s a good chance that Chromecast will be more successful than Google TV was, which means that Google and Roku are about to become even closer competitors. No wonder Roku’s CEO had some harsh words.